In January, Dafne McPherson, a 29-year-old Mexican woman who had been sentenced to 16 years in jail after suffering a miscarriage in a department store bathroom, was released from prison after a court overturned her conviction for murdering her new-born baby. However, many women like Daphne remain in jail in countries who essentially criminalize miscarriage. El Salvador has the worst record. Currently, there are 23 Salvadoran women who say they suffered a miscarriage and are now serving lengthy jail terms. Doctors have to inform the authorities if they think a woman has tried to end her pregnancy. If they fail to report such cases, they too can face long sentences in jail. Humanists International raised the issue this week in an oral statement at the UN Human Rights Council during a debate on the Vienna Declaration and Programme of Action. The Vienna Declaration explicitly prioritizes the human rights of women, including the eradication of gender-based violence. The result is not only a criminalization of abortion, but of personal tragedy, miscarriages and medical emergencies. 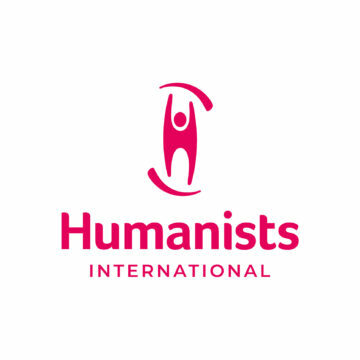 Humanists International’s Director of Advocacy Elizabeth O’Casey comments: “These draconian bans violate the fundamental rights of women and girls and the right to be free from violence, torture or inhumane and degrading treatment. This has been highlighted by UN bodies and experts repeatedly. The statement follows in full below. Through the Vienna Declaration and Programme of Action, States explicitly agreed to prioritize the human rights of women, including the eradication of gender-based violence. The ban on abortions can be so draconian that even miscarriage is considered suspicious. The criminalization of abortion places the government ultimately responsible for these violations. The result is not only a criminalisation of abortion, but of personal tragedy, miscarriages and medical emergencies also. These draconian bans violate the fundamental rights of women and girls and the right to be free from violence, torture or inhumane and degrading treatment. This has been highlighted by UN bodies and experts repeatedly. We call on the countries concerned to decriminalize abortion with urgency and ensure its availability in accordance with international human rights obligations. We also call for the immediate release of those women serving jail time because they miscarried.